Functional fitness that utilizes minimal equipment. Appropriate for all levels, TRX suspension training is a creative, total-body workout for the purpose of improving functionality, mobility, strength, and cardio. Looking for a fun and dynamic class? Our challenging TRX Bootcamp classes will help you improve full-body strength through various body-weight, functional exercises in a circuit-style class full of camaraderie and fun. At MINT, we know some things get better with age. Our TRX Senior class is designed for people 60 and over. This class will improve strength, balance, and coordination. Get a full-body workout but pay some extra attention to your core with a TRXcore class. You’ll feel this one all over, but the TRX is implemented to target the mid-section. TRX Team Training is included with studio-class access, or can be attended as part of our class package program. 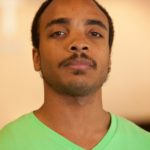 Rasean has been training in the DC area for twelve years. Before starting a career as a personal trainer, he spent over 10 years training in the martial arts. 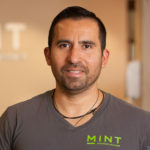 Prior to coming to Mint, Rasean worked for other fitness companies training clients, and teaching boxing, and kick-boxing classes, as well as one-on-one self-defense instruction. 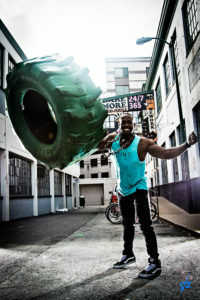 Rasean is a NASM certified personal trainer, and Cancer Exercise Specialist , who believes that form and technique is far more important than how much weight you’re pressing. He also believes that your workout should be functional and help you in your everyday routine, and in the power of healthy living for a good life. The Cancer Exercise Specialist is a professional qualified to assess, design, and implement individual, and group exercise programs for individuals diagnosed with cancer. The CES evaluates health behaviors, and risk factors, and modify negative health habits, in order for the client to reach more robust health with positive lifestyle management. The CES has a complete understanding of the entire cancer process from diagnosis to treatment, recovery, and prevention of lymphedema, and contraindications. 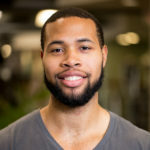 Michael has a degree in Exercise Science from Montgomery college and is certified with the American College of Sport Medicine. He also has training in functional rehabilitation, massage therapy , an exercise training method for stopping chronic pain. He has worked for several years with Sports & Physical Therapist in Washington DC Area. My love for fitness began at a young age. More likely than not I was one of the only kids in the state of North Carolina that asked for a weight lifting set for his 10th birthday. Throughout my life I’ve always been an active person and having a strong interest in playing several different sports such as soccer, football and basketball. Over the years I’ve even began to pick up tennis both competitively and leisurely. I will always be an athlete at heart.I’ve been in the fitness industry for the past 3 years and have loved every minute of it. I enjoy using the the kinesiology degree I earned from the University of North Carolina at Greensboro to improve every life that I come across. I have had experience working with clients from ages 7-93. My goal is to live a life where I am able to show people what they are truly capable of and to encourage them to be the person they didn’t even know they could become. 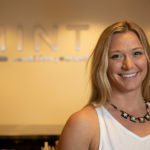 With 12 years of experience, Jen firmly believes that as a personal trainer, she is a vital part of the health industry and knows the importance of promoting and teaching health and wellness. 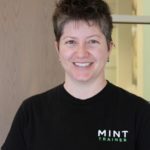 She has a strong background in exercise rehab and enjoys a more functional approach to exercise, incorporating balance, strength, stability, and mobility. In her spare time, she really enjoys team sports and spending time with friends and family. Jen is nationally certified through the National Academy of Sports Medicine (NASM) since 2006. 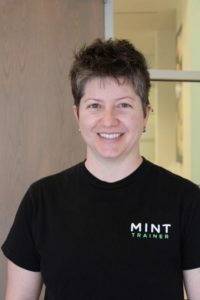 She also has specialties in Gray Cook’s Movement Screen working with movement patterns in rehabilitative training, MS and Exercise, Prenatal/Postpardum Exercise, and TRX certified. 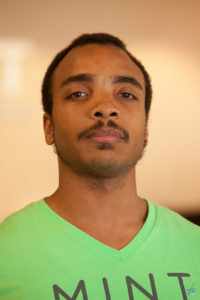 Myke describes himself as an athletic artist who enjoys challenging his body and mind in creative ways. He enjoys guiding his clients to their own fitness victories. 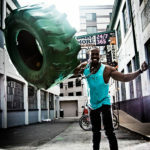 As a NESTA-certified trainer and TRX-certified instructor, Myke has spent his 11+ years in fitness training using a combination of weightlifting, calisthenics, strongman and MMA to help his clients to achieve their fitness goals. Myke is a force amplifier who enjoys helping others rise above their current level of health, as simple as a 1% increase every day. 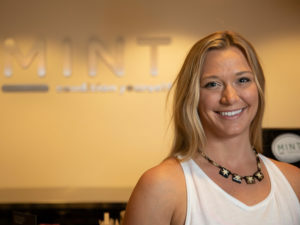 Lindsay Grunwald, no stranger to fitness, she’s been a HIIT/ Bootcamp Style instructor for 3+ years with certifications in a plethora of intensity genres. She brings a delightful energy and enthusiasm with her.